Absolute gem with unforgettable curb appeal and period detail to-die-for in the popular Homestead area. 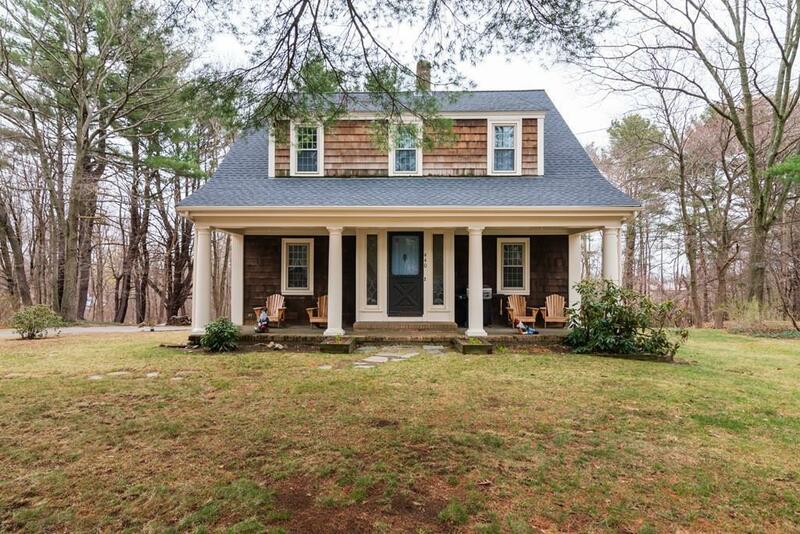 This admired home sits on a large, peaceful lot minutes from the train, Rte. 3, SS Hospital, Whole Foods and all the South Shore has to offer. The front porch with elegant columns welcomes you home. Once inside through the stunning period door, you'll find timeless features that add beauty to function: Soaring ceilings, gleaming hardwood floors, crown molding, french doors, built in cabinetry, glass doorknobs, staircase with lovely detail and the prettiest mantel over the wood burning fireplace. This home lives large with its front to back living room with bay window, eat-in kitchen and formal dining room. The second floor has three large bedrooms and a full bath with waterfall faucet, a sleeping porch, and great closet space. Updates include a brand new roof, water heater, lighting, floors and fresh paint. Move right in or bring your kitchen and bath ideas. Charm, style and space!